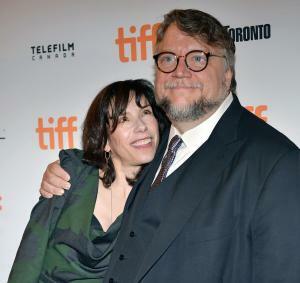 Jan. 21 (UPI) — The teams behind the fantasy romance The Shape of Water and Hulu’s dystopian drama The Handmaid’s Tale won the top prizes at the Producers Guild of America Awards ceremony in Beverly Hills Saturday night. Coco won for best animated film and Jane for best documentary, while Amazon’s The Marvelous Mrs. Maisel was recognized for having the best comedy series producing team and NBC’s The Voice the best producers of a competition series. In addition to the teams behind those specific projects, the guild also singled out several individuals for special awards. Universal Pictures Chairman Donna Langley was honored with the Milestone Award; producer Charles Roven took home the David O. Selznick Achievement Award in Theatrical Motion Pictures; producer Ryan Murphy earned the Norman Lear Achievement Award in Television; and producer Ava DuVernay picked up the Visionary Award. The satire-thriller Get Out won the Stanley Kramer Award.